The University of California maintains more than thirty Natural Reserves distributed throughout the state. The establishment of the system-wide UC Natural Reserve System was due in large part to the efforts in the 1940s and 1950s of Professors Ken Norris of UCLA and UC Santa Cruz and Wilbur Mayhew of UC Riverside, along with many others, who became concerned with the ever-increasing vandalism and disappearance of their field sites for research and teaching. Originally called the "Natural Land and Water Resources System," the Natural Reserve System was formally approved by the UC Regents in 1965. In essence, it is a 'library' of field sites. The system encompasses a wide variety of habitats, and is intended to insure that teachers and researchers will continue to have access to undisturbed natural habitats into the future. Through the Department of Evolution, Ecology and Organismal Biology, UC Riverside administers four major reserves that have research facilities and permanent staff; these are the Deep Canyon, Granite Mountains, Motte, and James Reserves. Another four minor reserves are also part of the UCR reserve network. Together they form a considerable portion of the University's total Natural Reserve System. Within the nearly 11,400 hectares (28,000 acres) included in the UC Riverside-managed reserves is a broad representation of Southern California's flora, fauna, and major ecosystems. These lands are an invaluable outdoor laboratory for teaching and research, used by scientists throughout the world. 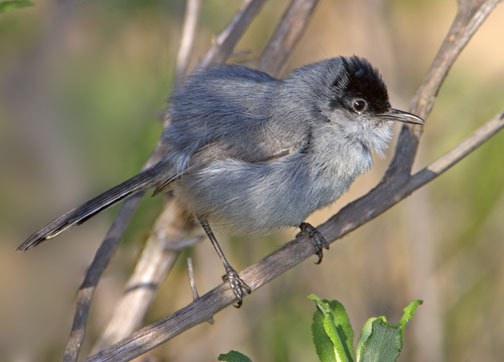 In addition, many endangered or diminishing species are protected from the urbanization occurring in Southern California on "habitat islands" preserved within reserve boundaries. Click here to view images of some of the UCR reserves. Boyd Deep Canyon is located near Palm Desert, in Riverside County. It encompasses a large transect of largely desert habitats ranging from the extremely arid Colorado Desert environment in the Coachella Valley at sea level through scrubland and pinon-juniper woodlands to montane forest on the crest of the Santa Rosa Mountains (2,650 meters elevation). Biodiversity within the reserve is correspondingly rich, and the steep-walled canyon contains a semipermanent stream and spectacular topography. Deep Canyon is the only protected site in the Colorado Desert dedicated to biological research and teaching. Scientific studies at Deep Canyon date to 1956, and since the mid-1970s the physiological ecology, environmental physiology, behavior, and conservation biology of desert organisms have been predominant research themes. The Reserve also protects more than 50 archaeological sites. For more info click here or here to go to the Systemwide home page for Deep Canyon. The James Reserve is a small piece of UC-owned land in the San Jacinto Mountains that abuts a large area of protected National Forest lands in the Hall Canyon Research Natural Area. It is located near the small community of Idyllwild at an elevation of about 2,200 meters. The San Jacinto Mountains are home to a mixture of plants characteristic of many different regions, including the Sierra Nevada, Baja California, the coast, and the desert, as well as a number of endemic species. Research at the James Reserve is comparably diverse and encompassed by extremes in scale, from the population biology of Drosophila to use of space shuttle photography and other remote sensing technologies to analyze local and regional biodiversity and the dynamics of community structure. Click here to go to the Reserve's Systemwide home page. You can also check out the James Reserve's "own" home page. The Oasis de los Osos Reserve, located at the west end of the Coachella Valley, is managed in association with the James Reserve. The reserve is sited on a steep elevational gradient near the base of the north-facing escarpment of Mount San Jacinto. A perennial stream, Lambs Creek, runs through Oasis de los Osos, supporting one of the very few riparian woodlands in the Colorado Desert. The Reserve contains numerous archaeological resources from the Cahuilla people, including rock art, middens, and shelters. The Motte Reserve contains large areas of open grassland, coastal sage scrub, willow riparian woodland, and rocky outcrops atop a rolling plateau near the town of Perris. 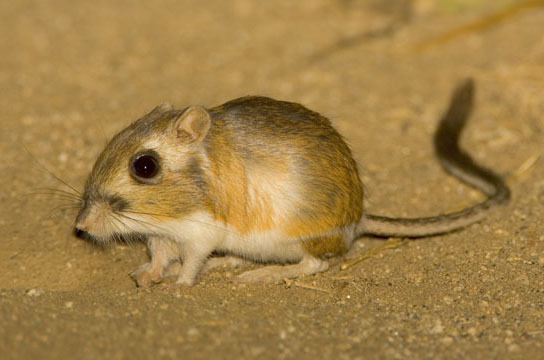 As the surrounding area experiences rapid urbanization the Reserve serves to protect a number of species threatened or endangered by development and habitat loss, such as the Stephen's kangaroo rat, California gnatcatcher (both shown at right), orange-throated whiptail, and Bell's sage sparrow, as well as several diminishing plant communities such as Riversidian sage scrub. The Motte Reserve also possesses a rich archaeological history, including some of the best-preserved pictographs in Southern California. The Motte Reserve is frequently used for teaching because of its convenient location, about 20 minutes from the UCR campus. For more information click here or here to go to the Systemwide home page for the Motte Reserve. The Box Springs Reserve, located in the rugged granite hills directly above the UCR campus, is also managed through the Motte Reserve. Box Springs is in a transition zone between coastal sage scrub and chamise chaparral and despite its close proximity to campus contains at least two threatened or endangered species. Situated in southwestern Riverside County, the Emerson Oaks Reserve lies at the convergence of four climatic influences--desert, coastal, interior, and mountain. E-Oaks supports unique, spring-fed habitats that include rare century-old southern oak woodlands, chaparral, and Riversidian sage scrub. Although a comprehensive inventory is progress, Emerson contains a number of declining species. A newly renovated lab building offers space for research and educational activities. Click here to go to the Systemwide home page for the Emerson Oaks Reserve. The rugged and scenic Granite Mountains are located in eastern San Bernardino County at the convergence of three North American deserts: Mojave, Sonoran and Great Basin. The 9000 acre Research Center is within the boundaries of the Mojave National Preserve. The Center contains spectacularly varied topography and habitats ranging from creosote desert plains and alluvial fans (about 1200 m elevation), cactus and Joshua tree scrublands, extending up into extensive pinon-juniper woodlands at higher elevations (to 2400 m). The site is of outstanding biological and anthropological interest, with a particularly rich flora and fauna. In addition, the Reserve is close to other critical Mojave Desert habitats, including riparian areas, Joshua tree forests at Cima Dome, native bunchgrass prairie and Great Basin sagebrush in the Midhills, several dry lake basins, and the extensive sand dunes near Kelso. To learn more about this reserve, visit the website here. The isolated Sacramento Mountains Reserve, also located in the eastern Mojave Desert (about 29 km west of Needles), is managed in association with the Granite Mountains Desert Research Center. This Reserve is located on a rocky desert slope; the associated bench and alluvial areas contain at least seven species of cacti, including an exceptionally dense stand of Bigelow (teddy bear) cholla. Located adjacent to the Riverside campus, the Box Springs Reserve lies on a steep and rugged granitic slope near the top of Box Springs Mountain, in a transitional zone between coastal sage scrub and chamise chaparral. A cold spring on the adjacent land gives rise to freshwater seeps and an intermittent stream. To learn more about this reserve, visit the website here.